Clay, K, J Lingwall, and M Stephens Jr. (2016), “Laws, Educational Outcomes, and Returns to Schooling: Evidence from the Full Count 1940 Census” NBER Working Paper no. 22855. Goldin, C, and L Katz (2011), “Mass Secondary Schooling and the State: The Role of State Compulsion in the High School Movement”, in D L Costa and N R Lamoreaux (eds. ), Understanding Long-Run Economic Growth: Geography, Institutions, and the Knowledge Economy, University of Chicago Press. 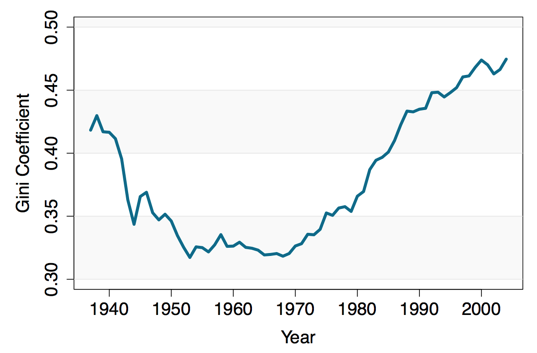 Goldin, C, and R Margo (1992), “The Great Compression: The Wage Structure in the United States at Mid-century”, Quarterly Journal of Economics, 107, 1-34. 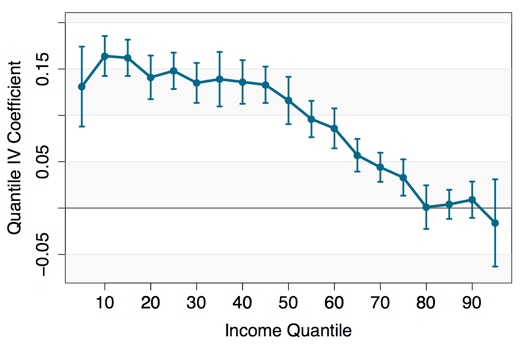 Kopczuk, W, E Saez, and J Song (2010), “Earnings Inequality and Mobility in the United States: Evidence from Social Security Data Since 1937”, Quarterly Journal of Economics, 125, 91-128. 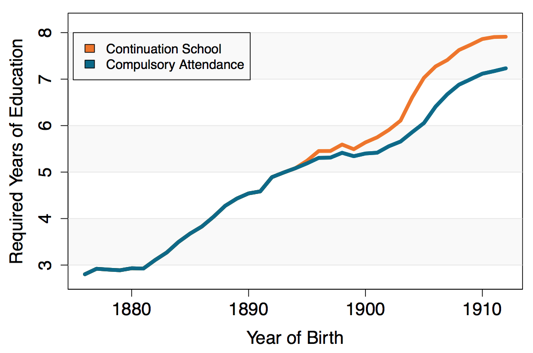 Stephens Jr., M, and D-Y Yang (2014), “Compulsory Education and the Benefits of Schooling”, American Economic Review, June, 104 (6), 1777-1792.